I’m a Doctor, Not a Philosopher! I was somewhat surprised to hear Bill O’Reilly make this statement Wednesday night in his conversation with an atheist. The atheist, as expected, protested vigorously that Christianity IS a religion. Bill countered with a valid argument. Being a part of Catholicism or being a Methodist is “religion” based on the “philosophy” of Christianity. Examination of basic concepts: the branch of knowledge or academic study devoted to the systematic examination of basic concepts such as truth, existence, reality, causality, and freedom. School of thought: a particular system of thought or doctrine. Guiding or underlying principles: a set of basic principles or concepts underlying a particular sphere of knowledge. Set of beliefs or aims: a precept, or set of precepts, beliefs, principles, or aims, underlying somebody’s practice or conduct. Calm resignation: restraint, resignation, or calmness and rationality in somebody’s behavior or response to events. Religion begins with man. Theology beings with God. Ah, here is a valid point. Religion is man’s attempt to organize the philosophy of Christianity into a system of everyday “practice”. Religion defines the “rules and regulations” of the “practice” of Christianity as an outward manifestation of its tenets and beliefs. Religion, then, is a way of living out or bringing the inward belief system of Christianity into everyday practice. And, here is the problem. By inserting “man” into the process; by putting “man” in between the teachings of Christ and the everyday human behaviors based on those beliefs, there will be an inevitable watering down, and sometimes down right perversion of those tenets and beliefs. Man is an imperfect creature and based on our history, we can really screw up even the most perfect system of beliefs. And, in defense of Bill’s atheist guest, complaints about “religion” can be valid. It is the ABUSE of Christianity, as well as other “philosophies” down through the ages that have led to charges that those “religions” are dangerous. The new atheists claim that all “religion” is inherently dangerous and should be outlawed. They claim that teaching children “religious” concepts is equal to child abuse. There may be some valid points here. After all, if a child is taught to hate anyone thinking differently from them and tells them it is glorious to strap a bomb to their chest and kill dozens of people, then I would whole heartily agree that “religious teachings” can be dangerous when they veer away from the underlying pure “philosophy” of that man made religion. However, the potential danger of religion does not take away from the peaceful “philosophy” of Christianity. After all, Jesus of Nazareth never asked his disciples to kill or maim or hate or carry out revenge. 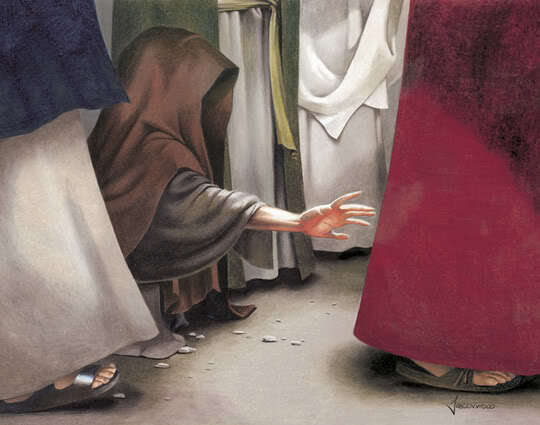 He rebuked Peter when the man cut off a guard’s ear in the Garden of Gethsemane. I would like for us to consider the possibility Christianity may be the most valid thought system and belief system in the history of humanity. I would like to explore the teachings of Jesus of Nazareth. Over the next few days, as we near the celebration of the birth of Jesus, I would like to look at the “philosophy” Jesus taught to his followers. Was it dangerous? Was it controversial? Is it dangerous today? Should Christianity as a philosophy be labeled as dangerous by today’s culture? Are we justified in outlawing any expression of the celebration of “Christmas” at this time of year? Come back in the next few days as I explore the pure teachings of the man, Jesus of Nazareth. In deference to those who are atheists or agnostics I will discuss the teachings of Jesus from his strictly human point of view. I think that we will find that no matter what we may now believe about Jesus Christ in our individual “religions” that his teachings are universal and can become the foundation of the best way we as humans can conduct ourselves in this day and age of fear, anger, hate, hopelessness and coming darkness. The Shadows of Depression Falling, Falling, . . . The days are growing shorter and night flies across the world in record time. These are the dark days; the cold days as winter and its death grip tightens across the land. As wonderful as the holiday season can be, for some of us, the lengthening shadows bring the cold, hard press of depression to our souls. In a time when we should be thankful and happy, sadness tinges our every thought. I understand. I have been there and I battle the teasing touch of depression every day. But, I have developed a plan that helps me battle depression on a daily basis. This plan was born out of my two years of counseling and with the help of my Lord. Today, I spoke at length with Armstong Williams on the coming epidemic of depression that is sweeping our land, particularly our young adults. How do you combat this depression? Let me share some thoughts. First, invest some time and effort into a creative endeavor. Write a song. Sing a song even if the only person in the audience is the shower nozzle. Write a poem, a letter, a blog post. Pick up some crayons and a coloring book. Find a way to give a special gift of your own making to that loved one this Christmas. Creativity utilizes a totally different part of our brain than that part which is more cognitive and intuitive. Exercising creativity brings a balance to brain chemistry. And, its fun. When you are depressed, you seldom do anything that is fun. Now is the time to indulge yourself. Even if it is to make a cool, colorful ice cream sundae with lots of colorful sprinkles! Second, take a technology fast. Turn off the cell phone and tuck away the ipad. Don’t message any one for an hour. Go outside and take a walk in the cold sunshine or read a real book. Better yet, try a REAL interaction with someone instead of a virtual interaction. We are becoming increasingly isolated from real contact due to Facebook and Twitter and texting. But, we need to touch and talk to and listen to real people in real time in person. Scary, but I suggest you try it before you forget what it is like to sit at a table with your best buddy and talk over coffee. Third, invest your time and energy in something that transcends your life. Find a cause that helps others. Serving others can be the best diversion from depression. And, when you invest in a cause that is greater than yourself; that will have lasting impact beyond your life; it gives you perspective. You will find others that may be worse off than you and a smile and a helping hand is what you are looking for so give that to them. Find someone who is suffering from depression and help them out by sharing and talking to them. They might have good advice that will help you. And, vice versa. Turn your “tragedy” into “triumph”. Redeem your depression! Finally, turn loose of that grudge or that unforgiving attitude. In my book, “The 12th Demon: Mark of the Wolf Dragon” the character of Raven is an assassin who started out as a little girl in love with God. Because of some tragedy in her life, she moved into a life of crime, killing for a living. In the process, because she could not forgive, she died inside. Like the vampires in my book, she is the walking dead; dead inside; dead spiritually; dead emotionally. Until she meets up with Jonathan Steel, a man from her past who reminds her that there is a Love that transcends hurt and death and evil. 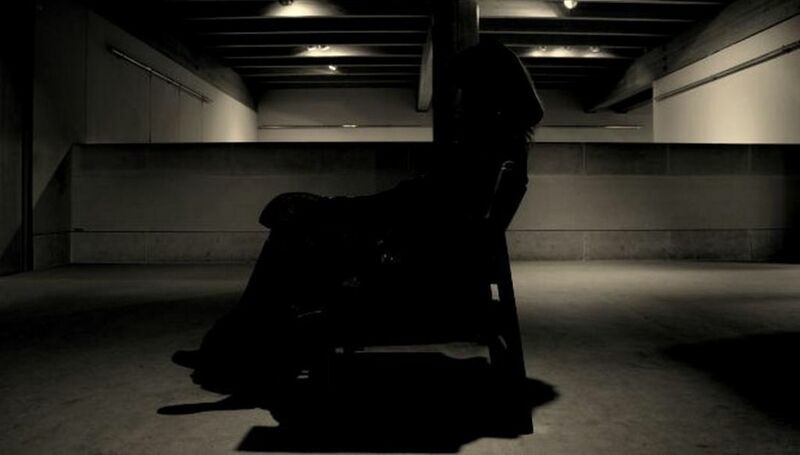 Being unforgiven has left her numb and depressed. Can she ever find forgiveness? Is there some deed so horrific; so heinous that God cannot forgive? Can you ever find peace? Like Raven, this question is true for all of us. There are always those in our life we should forgive. And, there are always those in our life who should forgive us. Think about that and if you can find it in your heart, forgive. If you can find the strength, ask for forgiveness. You will find the sudden rush of holy wind that floods your soul will rejuvenate your dying spirit; it will fill you with new life; it will blow away the dregs of depression and leave you healed and restored. Don’t spend another day as the walking dead. Start conquering depression right now! This holiday season, check out “Conquering Depression: A 30 Day Plan for Finding Happiness” available in all bookstores and through all ereaders. 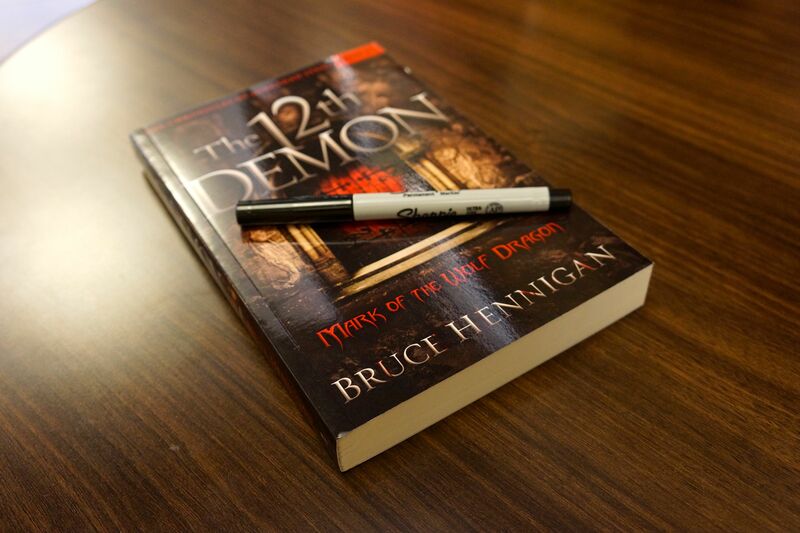 If you’re looking for a good fiction book for someone, check out my first book, “The 13th Demon: Altar of the Spiral Eye” and the newest book, “The 12th Demon: Mark of the Wolf Dragon”. 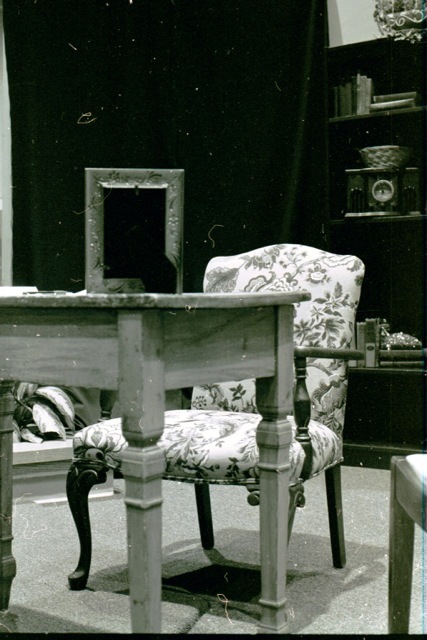 There was an empty chair at the table this Thanksgiving. My father passed away a few weeks ago at the age of 98. Even though he had been living in the nursing home for the past three years, I always brought him home for the holidays. Every Thanksgiving, Christmas, and Fourth of July, my father would sit at the head of our table. And, always, he would lead us in prayer and sing us a song or two. My father’s singing idols were Tennessee Ernie Ford and George Beverly Shea. Although his voice was weaker and weaker as he aged, when he switched to his singing mode, from somewhere deep within this clear, deep, resonant voice would boom out a song in perfect pitch. And so, this year, more than any other, I am thankful for my father. His absence has made me realize how much I came to depend on hearing that voice raised in song. 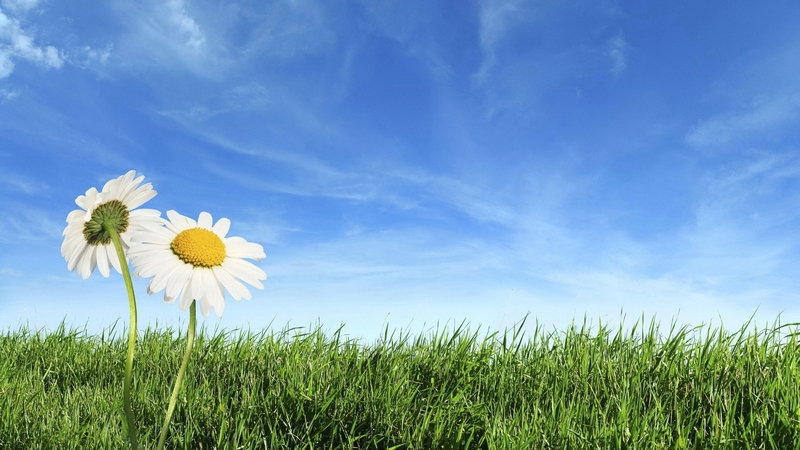 “Don’t you want to thank someone?” is a more than just a question. It is a song written and sung by Andrew Peterson. The last song on his newest release, “Light for the lost boy”, this song brought tears to my eyes just a few weeks before my father’s death. Those are just a few words from this incredible song. I did not grow up in Illinois, but the corn grew tall in my father’s garden here in Louisiana and one dark day atop the tall tree I realized the world was broken and no longer the glowing, innocent thing I had lived in for my first ten years. It was atop that tree, above the vampires that lurked in the dark shadows and the werewolves with glowing yellow eyes that waited for me in the blackberry bushes and the myriad monsters of my imagination that my fear of the worlds I had only until then imagined became the beasts of approaching adulthood. Just as real. Just as dangerous. Just as deadly. I write about vampires and werewolves and creatures in the dark because we live in a broken, fallen world. We try desperately to understand it and to dissect it and to equate it and to reduce it to laws and axioms that fit neatly into a science textbook. Equations we can control. With them we hope to tame the beasts but to no avail. Rather, it takes imagination. I am so thankful for the power of my imagination to open up the doorways of my heart and mind to the REALITY of God! I am so thankful my silent companion standing in the gap between my soul and the monsters of my brokenness is real and loving and forgiving and the author and finisher of this universe. I am so thankful for the times of failure and faithlessness and doubt so that I could search those shadows again and find Him waiting there right where I left Him. I am so thankful my father showed me the love of God! I am thankful for each and every reader that has trusted me to fill a book with words that are more than echoes of futility. Rather, they are words that lead slowly but inexorably to the Word, the Logos, the One who became flesh. And, for that, I am thankful. Look around you in the aftermath of this hectic and busy season of empty thanks and muted praise and awkward family gatherings and frantic hours of shopping. Stop and look into the shadows. There may be beasts among us, and I am sure there are. But, there is a quiet, abiding companion following, following and watching over us. My father sang of this companion in his powerful voice. He sang of a Father that is greater than any earthly father could ever be. A Father who sits at our table; who sings the story of our lives into being; who longs to love us and redeem us and hold us in his arms. Think on this with an imagination that is a poor reflection of the image of God and you will find in your heart and in your soul the need to thank Someone! My Skin Sparkles With Sun Kissed Dew . 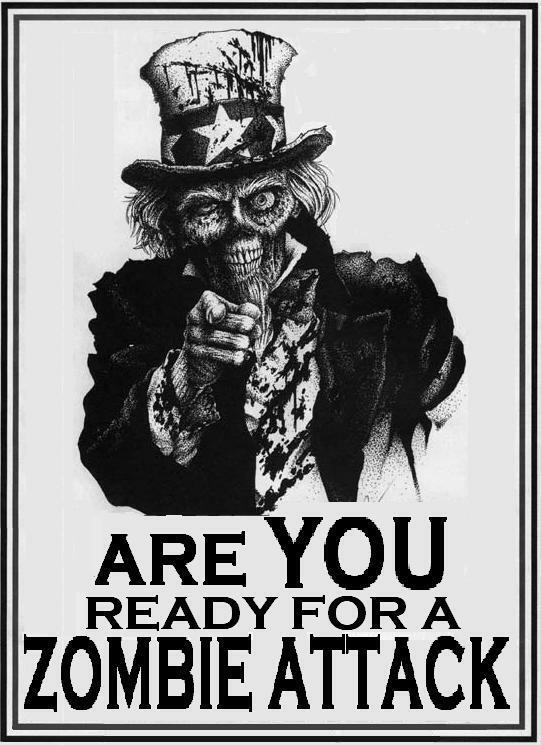 . .
Why are people so fascinated with “Twilight” and “The Walking Dead”, in other words, the undead? We have reinvented vampires. Once, they were unseemly; horrific; monsters that moved through the shadows of night and took our lives away or worse, converted us to the undead like them. Now, vampires are sparkly and shiny with six pack abs, doe eyes, incredible super powers and they can come out in the sunlight. They can deny their dangerous side and drink the blood of animals. They compose haunting music and write novels unlike any the human race has seen. Why? Because we want to live forever. And, we don’t want to live forever as one of those evil vamps. We want to be Bella and Edward. We want to run through verdant green forests and recline in flowery meadows and stare endlessly into each other’s eyes and . . . well, after a few thousands years that might get BORING!!!! Sorry, but this idyllic concept of eternity just leaves me cold and sterile. On the other hand, I don’t want to lurch through deserted, debris filled city streets with half of my guts hanging out looking for the next warm, pulsating brain to eat. Why would anyone want to be a zombie? Because, zombies don’t have to think. Zombies shuffle through life mindless of the stress of living. They don’t have to make any decisions, post any blogs, catch up on Facebook, tweet, pay bills, or worry about election returns. They shuffle through life mindlessly pursuing something to kill and eat. Simple. Elegant. BORING!!! The truth of the matter is that once we had a story of our lives here on planet Earth. It was a story with a singular Beginning, a redemptive Middle, and a promising End. But, we have abandoned the Story of God. We have pushed God out of the Creator seat and replaced Him with Chance. The Universe is all there is or all there eve will be. Carl Sagan said that. We only have what we can see, taste, smell, touch, and hear. Science gives us all the answers, according to Bill Nye, the science guy and Stephen Hawking. Who needs history and philosophy? Who needs theology? WE DO! If we were just animals stumbling through life totally slave to our instincts it would be different. But, my dog, Romeo reclining on the floor beside me has no appreciation of the elegant strains of Bach playing on my computer. He cannot appreciate the loss and love of my father by looking at a photograph or reading an entry in my late father’s Bible. He has NO appreciation of art, beauty, music, creativity. Those elements come from God — we are made in His image. Ah, here is the conundrum. We know in our hearts there is more to life than just living and dying. We sense the divine. God has put eternity in the hearts of all men, the wise author of Ecclesiasties proclaims. We strive to touch the hem of His garment; to catch a glimpse of His light; to feel the warmth of His love; to embrace the comfort of His forgiveness. He is still there, waiting in the shadows, a secret companion behind the strident clamor of modern culture. I took a walk in the woods and I sensed his voice in the whisper of the wind; the gently susurration of leaves stirring with life; the musky fragrance of an autumn bloom. He is there and He can still be found. But, not in the line at the cinema or in the looming shadow of a vampire or the lurching clumsiness of a zombie. I have spoken to those who have had a glimpse of what lies beyond the Veil. They can barely articulate in human terms what awaits us in those other dimensions. But, I know this. There is no world, no sky, no music, no art, no figment of human imagination that can EVER match what God has in store for us! And it will never by BORING! Search for the divine and He will find you! Vampires, Zombies, and Werewolves, Oh My! Humans are fascinated with the undead — vampires, zombies, and werewolves. “The Walking Dead” and “Twilight”. I am asked this question often in interviews about my book, “The 12th Demon: Mark of the Wolf Dragon”. Why are we so fascinated with vampires and zombies? We are fascinated with the undead because we have lost that connection with the divine and the eternal in our culture. In Ecclesiastes, we find a verse that says “God has put eternity in the hearts of all men”. But, our culture no longer accepts organized religion and has pushed God out of the Creator seat and replaced Him with Chance and Scientism. Without without the connection with the divine in our culture, we fill this spiritual void with a poor substitute. For centuries we here in America have lived according to the Christian “worldview” that there is a Creator with a purpose for creation; for our universe; for our world; for each of us. But, in the last fifty years, our culture has moved towards “naturalism” — the idea that there is no supernatural realm; that we are here purely by chance. When you die, you rot — end of story. Have a nice day. Once we pushed God out of the creator seat and replaced Him with Chance and Random Processes — our answer to that last question went away. There is no “Destiny”. We have hidden the Story behind a veil of denial. And yet, each human being longs for the divine; seeks the eternal. And so, we long for destiny; what lies beyond this realm of existence. We sense there is more to life than just living and dying. And, if you have removed the rational foundation for belief in God, all that is left us is science. Science, or naturalism, tells us we are nothing more than DNA and biochemistry. So, science doesn’t answer the question. And, without God and religion, we turn to fiction; we turn to tales and myths and legends of the undead. Thus, our culture has become fascinated with death — specifically what happens after we die. 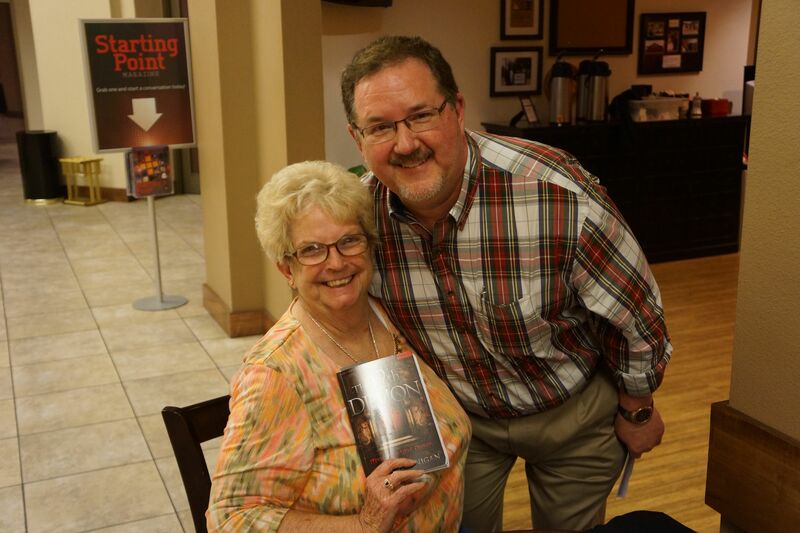 Book Signings Are NOT About the Books! 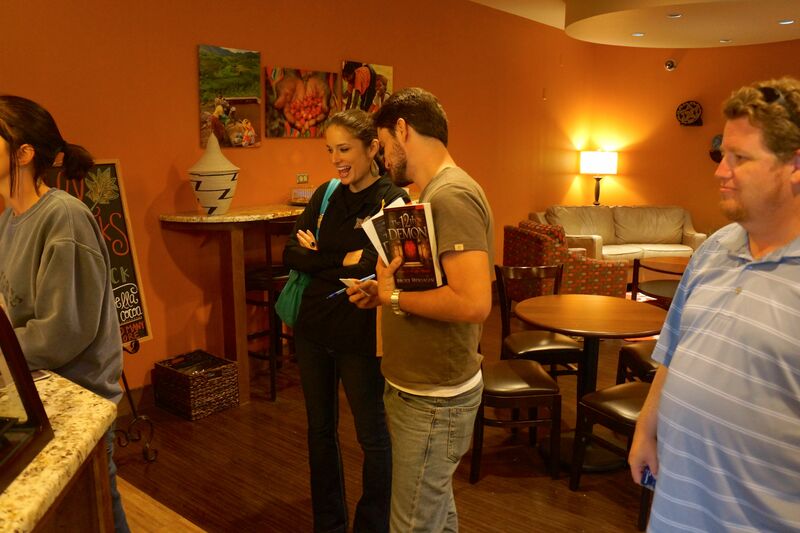 Why do authors hold book signings? To sell books, right? 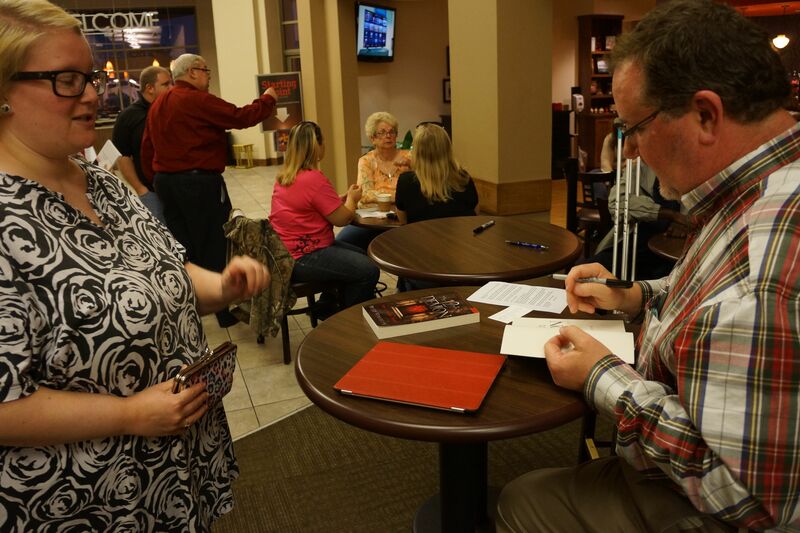 I’ve held at least a couple of dozen book signings over the years. I can think of at least three of these events where I sold almost 50 books. But, the others? Well, at one signing I didn’t sell a single book. In fact, not a single person even stopped at my table. 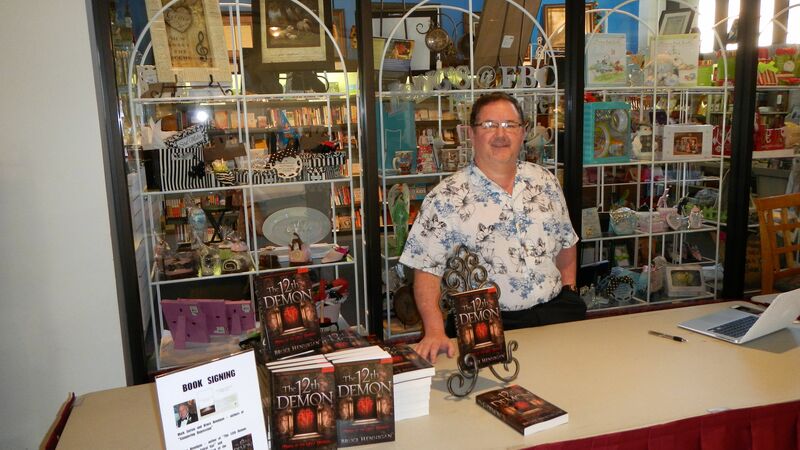 Most of my book signings result in selling less than a dozen books. So, why continue to work so hard to have a book signing? It’s the people. You can’t meet people face to face on Amazon or Barnes & Noble websites. You can’t reach out and touch someone through their Kindle or Nook. But, you can look someone in the eye over a book signing table. And, most importantly, you can hear their STORY. A man in his mid forties walks up to the table. 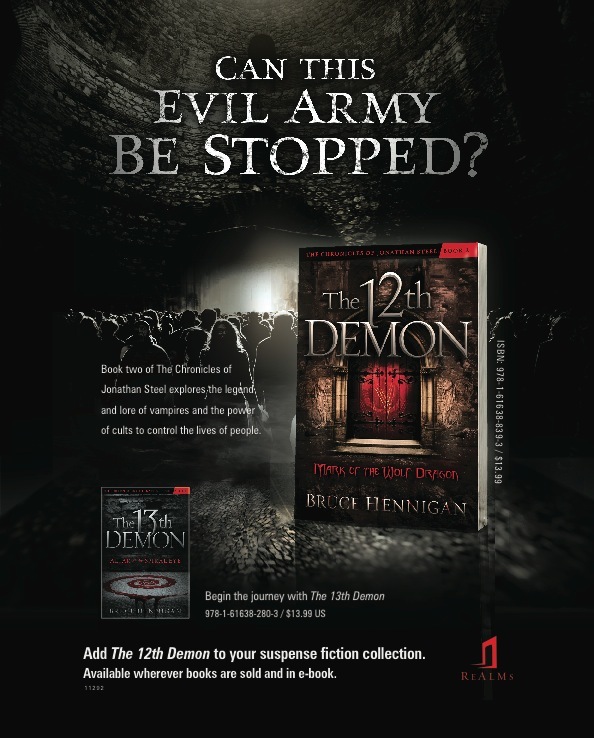 Before him are my first two fiction books, “The 13th Demon” and the newest, “The 12th Demon”. Sitting to my side is my co-author, Mark Sutton and in front of him is a pile of our book, “Conquering Depression”. The man pauses in front of me and picks up “The 12th Demon”. But, his gaze averts slightly to the pile of depression books. Why? Because that book is the real object of his quest. However, a man cannot admit his is depressed. Certainly not a stranger and certainly not even to himself. But, that book is tantalizingly just out of reach. Maybe if he shows interest in the fiction SOMETHING will happen and he might get his hands on the depression book. There is a deep seated discomfort with his life; a gnawing desire to face the beast head on and kill it; but to do so is to admit weakness, failure, the inability to FIX it! And so, he peruses the fiction book instead and asks me the inevitable question. Ah, here is the question. Here is the heart of this man’s sorrow. It is most difficult to lose a child to death. But, to lose a child to atheism? That is a lingering death that drives the knife into the heart day after day. How do you deal with this? How do you love someone when they no longer share that faith connection with you? Is it possible? I tap my second book. “One of my minor characters in this book wrestles with just that issue. She has become an assassin but early in life professed Christianity. She has wandered far away from her faith. In fact, she can no longer consider the possibility that God exists because if He does, how will she ever be forgiven for her heinous acts of violence and murder? Is it possible to move beyond God’s forgiveness? I am an apologist; someone trained in the defense of the truthfulness of the Christian faith. My discipline utilizes historical, scientific, and philosophical evidence as fuel for logical “arguments” in support of Christianity. But, I have learned the hard way that when someone loses their faith, rational discourse; reasonable debates; objective evidence will fall on deaf ears. It is because evidence is not the issue in question. Most people who fall away from their faith do so because they have been hurt or angered or disillusioned by well intentioned “Christians”. This hurt comes from someone in a position of authority or respect. Bottom line is the person is hurt; a heart felt need. NOT a head need! He looks at me as if I have read his mind. What then unfolds is a tale of woe and pain. As with previous such encounters the story is one of a nasty divorce between the person’s parents or an abusive parent or a figure of trust who violated that trust. Bottom line: people will always let us down. Always! He bought all three books. But, what he walked away with was not something to read. It was something to think and pray about. And, a little dose of hope. Or something like that! Of course, Jesus didn’t ask them because he wanted an answer. He asked them to see if they were paying attention to the lowly, broken woman who had been shunned by society — bleeding and “dirty” and forbidden from touching ANYONE. Jesus wanted to know if the disciples had NOTICED. They had not. 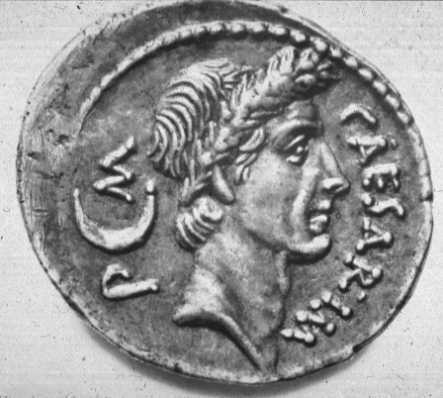 They only saw the powerful and wealthy Jarius. But, Jesus noticed the unnoticeable; the man or woman wandering up to the table in desperate search for answers to their pain; for healing; for the gently touch of a caring conversation or the kind brush of a hand on their shoulder. Jesus noticed this woman and praised her for her faith. I will never forget this unique perspective on that account from John. I had never seen the woman as an interruption; a divine appointment unforeseen by anyone except God. THIS is why I continue to hold book signings. There will always be one person whose day I hope God will interrupt with a moment of hope and caring. And, I can only pray I will be there with the caring message God wants me to share. It’s not about the books. It’s about the PERSON! To Whose Kingdom do YOU Belong? I only have a few comments on the election. I, like all of you, had one candidate in mind I considered best for the future of America. I, like all of you, felt like the other candidate was right down there with Lucifer. I, like all of you, was bitterly disappointed if my candidate lost or wildly, arrogantly excited if my candidate won. In fact, I daresay there were very few of us who were somewhere in the middle of this emotional battle. Obama is our savior and we only have to give him a little more time to let his plans come to fruition. Romney is our savior and he will lead us out of this quagmire into the kind of America we should be. All I want to say is this. God is NOT surprised about who won this election. Obama followers should stop and consider the onerous task ahead of our President. In fact, President Obama may have awakened the day after and wished he had lost! Romney supporters should realize that they were putting all of their hope in a man to save this nation. Romney is only human and probably awakened the day after the election with the stark realization that he was glad he lost! Of course, I am presuming the extreme, but here is the message for those of us who are believers. Whether we are Pharisees, devoted to the letter of the law or Disciples nipping at the hem of Christ’s garment, or Romans devoted to a tyrannous emperor, the message to take away is simple. As believers, our allegiance is to another kingdom. God commands us to support our government because, good or bad, He has ordained it for purposes we cannot yet see. We cannot put our faith in ONE man to change America. What God is showing us is that we must put aside our differences — cast aside our challenge of Caesar versus God — and dig in to make the country better. That will mean we have to reach out to the other side. In fact, we MUST meet somewhere in the middle. President Obama, whether or not I voted for him, will need every millisecond of prayer and support as well as every member of Congress and every member of our national government if we are to survive this enormous challenge to the greatness of America. As believers, it is up to us to be light and salt in this battle; to show the love and compassion of Christ; to sit at the table with sinners and publicans; to wash the feet of those we do not share our political views. If we do this; if we are truly mirrors to the love of Christ; then those in power; those we favor or oppose will “marvel”. Now, two announcements about my books. I will be signing copies of all three of my books, “Conquering Depression”, “The 13th Demon: Altar of the Spiral Eye”, and “The 12th Demon: Mark of the Wolf Dragon” at events. The first event will be at the LifeWay Store in Austin, Texas on December 8th from 1 to 3 PM. I will post more information about the location of this store in north Austin later. The second event will be at my own local LifeWay Store in Shreveport on Saturday, January 5th from Noon to 2 PM. I am very excited about this as our local store holds few book signings. So, all of my local fans need to mark that date on their calendar. Come and see me! 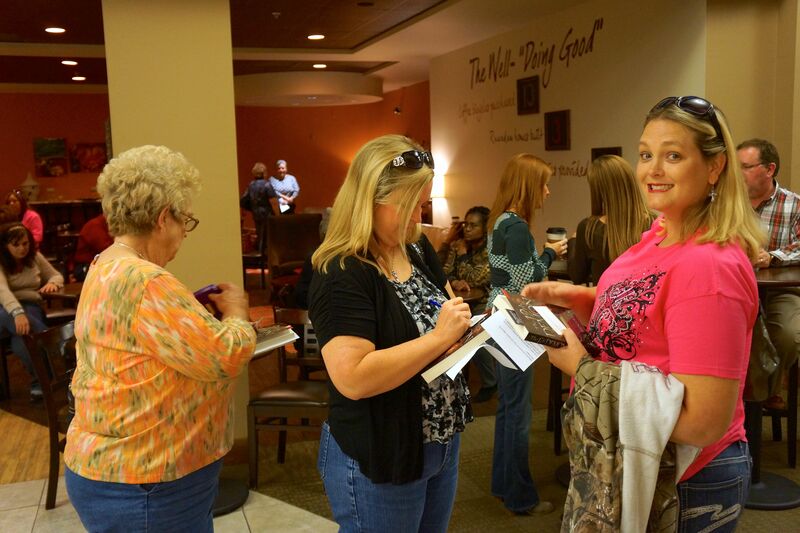 Monday, I will be posting on WHY I still attend book signings. Welcome to the Chronicles of Jonathan Steel! 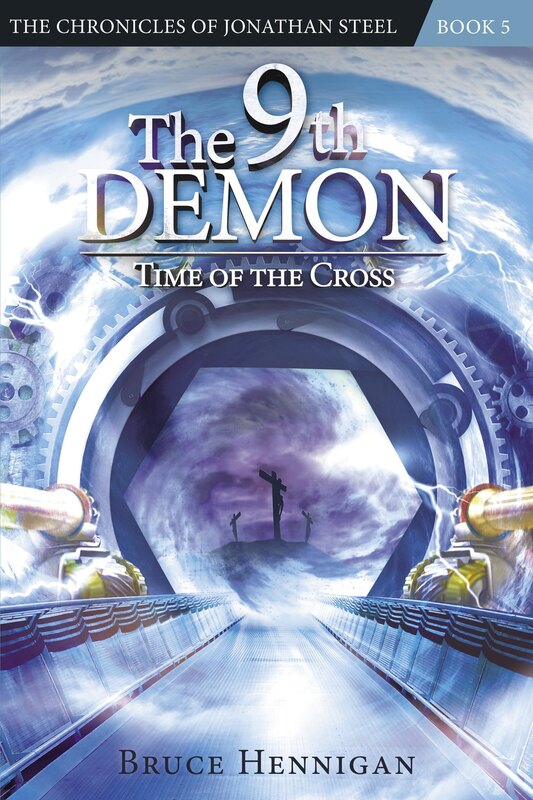 If you’re new to the Chronicles of Jonathan Steel, check out the “Reviews” tab to get more information on the first book in the series, “The 13th Demon: Altar of the Spiral Eye” and the newest book, “The 12th Demon: Mark of the Wolf Dragon”. Then, go to your nearest Christian Book Store and make sure they have them in stock! If not, you can certainly order both books on Kindle and Nook. 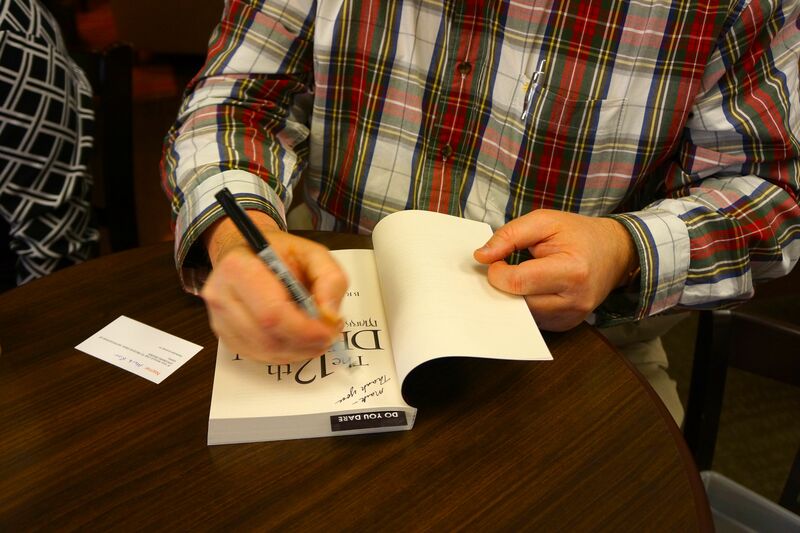 If you want me to sign your eBooks, go to Authorgraph and I can electronically sign your book. If you live in Austin, stand by for news of a book signing in December! 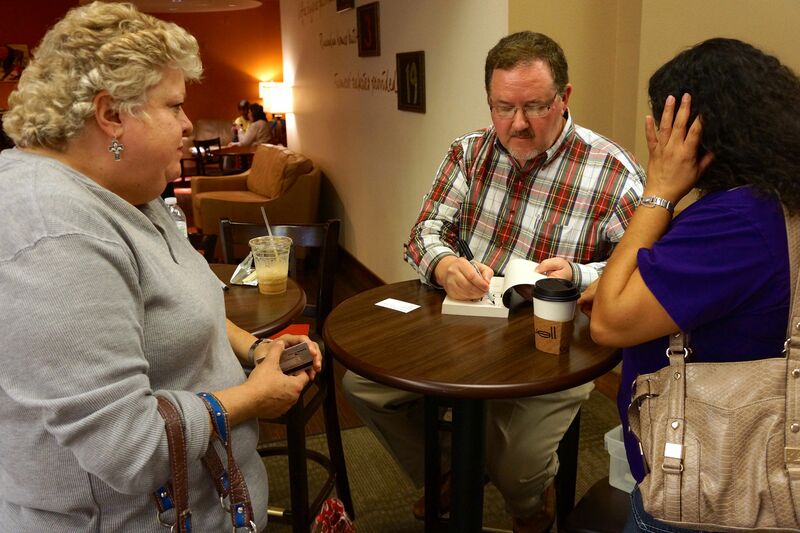 Here are some photos from my book launch at the Well on October 19th and a book signing at First Baptist Orlando bookstore on October 27 and 28. 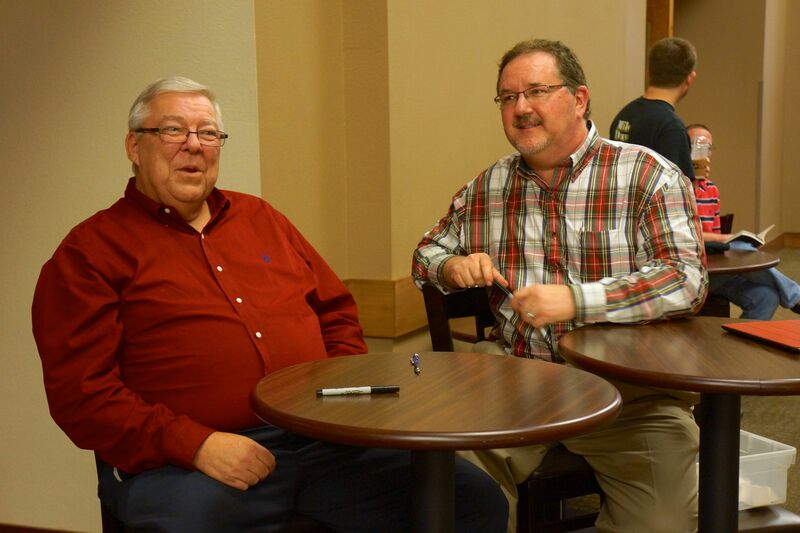 During both events, my co-author, Mark Sutton, joined me to sign copies of our book, “Conquering Depression”.